Epigenetic phenomena are defined as heritable mechanisms that establish and maintain mitotically stable patterns of gene expression without modifying the base sequence of DNA. The major epigenetic features of mammalian cells include DNA methylation, post-translational histone modifications and RNA-based mechanisms including those controlled by small non-coding RNAs (miRNAs). 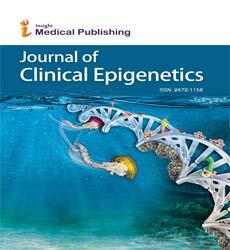 The term cardiovascular epigenetics refers to heritable changes in cardiac gene expression (active versus inactive genes) that does not involve changes to the underlying DNA sequence, a change in phenotype without a change in genotype. The impact of epigenetic mechanisms in cardiovascular pathophysiology is now emerging as a major player in the interface between genotype to phenotype variability.